4Need Help? 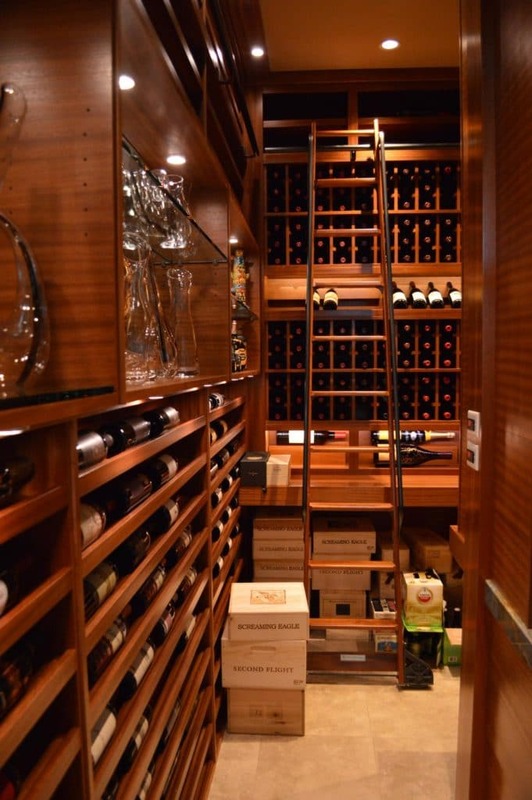 Let an Expert Assist in Building Your Wine Room. If your existing wine cellar cannot accommodate your growing collection, you will need the help of an experienced designer and installer. In Los Angeles, California, a homeowner contacted Vintage Cellars because they needed help with the extension of their existing wine cellar. Learn how they increased the room’s capacity without compromising its modern appeal. 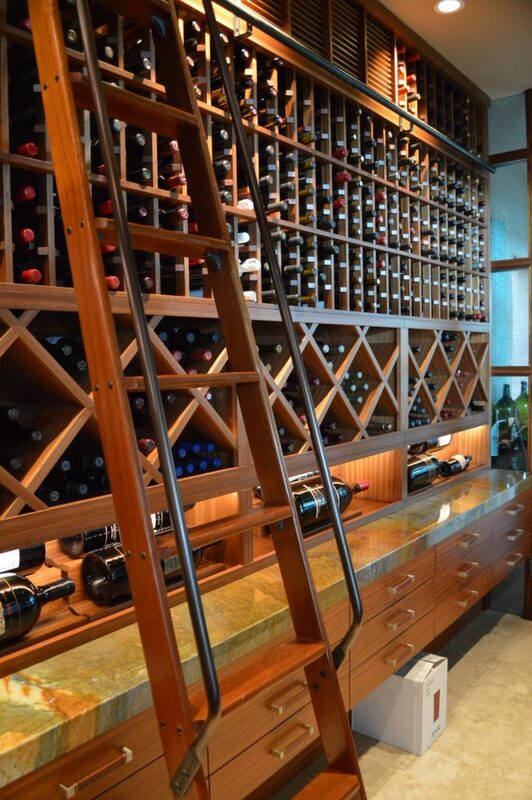 Creating a design that will accommodate a growing collection is one of the challenges encountered by wine cellar builders. Vintage Cellars, one of our partners in custom wine cellar construction, recently completed a second installation project in Los Angeles, California. The original wine cellar was built during the home’s construction. The first installation was in 2008, where they created additional storage space for 1,100 wine bottles. In 2013, they were requested by the owner to expand the wine room. They incorporated different racking styles to accommodate bottles of various sizes. They also made sure that the design was impressive and maximized the storage capacity of the space. The client usually buys wines in boxes, which include standard and large format bottles. Vintage Cellars had to double the size of the original wine cellar for his growing collection. There is a lot of wood and glass in the residential space. The cabinetry and furniture were made from Sapele Mahogany, so Vintage Cellars constructed the entire racking from the same material to match the theme of the home. The architect and contractor of the home gave them a palette so they would be able to complement all of the woodwork. It is reddish brown in color and is a favorite wood used in wine rack construction. It has wavy patterns, interlocking grains, and a distinctive color that adds character to the storage racks. Sapele Mahogany is known to be more stable and harder than Red Oak and African Mahogany. In addition to its visual appeal, this wood variety was the ideal choice of material because the owner wanted scent-free wine racks in his cellar. The wine rack design plays an important role in achieving the visual appeal desired by the homeowner. Eye-catching wine displays can bring a room to life. Vintage Wine Cellars always ensures that every wine room they build is designed with uniqueness. 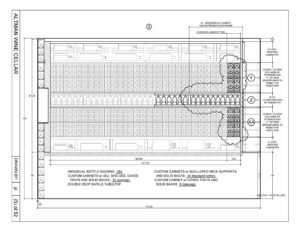 After making a careful assessment of the client’s functional and aesthetic needs, they created 3-dimensional drawings for this project. These images provided a better visualization of the completed custom wine room. After adding new sections to the original racking, the cellar can now accommodate 1,624 bottles in various orientations. Upon entering the residential wine cellar, you will be greeted by the beautiful racking on the right wall. Originally, it consisted of individual wine racks at the top section, a VC-style cover for the wine cooling unit evaporator, and a couple of drawers below the tabletop. At the bottom was an opening where the wine boxes could be stored. What Vintage Cellars did was to add diamond bins at the middle section of this racking. This type of bottle orientation allows for a proper organization of the wines. The collector can store the bottles in bulk according to style or varietal. Since each opening can accommodate up to nine bottles stored on top of each other, diamond bins are recommended for small wine cellars. A wider storage area was also created for the client’s large format bottles, including his 9-liter bottles. This section contains coved trays with two cascading heights. This racking design allows for easy viewing of the labels and adds character to this custom wine cellar installed in a Los Angeles home. As you go to the next area of this elegant wine room, you will pass by elevation 2, which is the wall to your left. Vintage Cellars incorporated three columns of horizontal wine racks with a display area in the middle. With a depth of 4 ¾ inches, fixed coved trays, and solid sides, these wine storage units store the bottles lying on their sides. With the labels facing out, it would be easy for the homeowner to browse a specific type of wine. The display area, which has a depth of 8 ¼ inches, was intended for the client’s collection of mini cars and decanters. To allow for easy organization, Vintage Cellars added glass shelves. They also made this area more appealing by adding lighting and a mirror at the back. 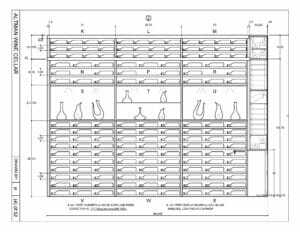 The total capacity of the racking in the second elevation is 36 standard and 117 magnum bottles. When you move on to the next area of this home wine cellar, you will find the racking that consists of single bottle openings, coved trays, and cabinets with scalloped neck supports. To provide storage space for more bottles, Vintage Cellars added new sections of custom cabinets with scalloped neck supports for 34 bottles and standard rack openings for 384 bottles. To ensure that racking could bear the weight of the entire cabinetry, they installed large steel supports under the double-deep tabletop. The owner loves to buy wines in bulk. When his order arrives, he does not want the boxes to occupy the front areas of the wine cellar. To solve this problem, Vintage Cellars allotted a wide area below the shelf so the client could just slide the wine boxes into it. The next wall in this custom wine cellar in Los Angeles (labeled as elevation 4) consists of racks that can store 98 magnum bottles. Another VC-style cover was added at the top section to conceal the refrigeration system’s evaporator. 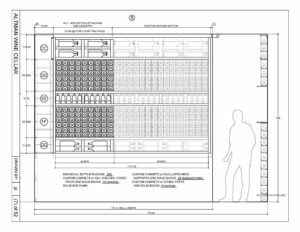 Elevation 5, which is the last wall with wine racks, consists of custom cabinets for 26 bottles, individual storage openings for 288 standard bottles, and coved trays for 16 large format bottles. When choosing a lighting system, it is important to use LED lights because they illuminate wine displays dramatically with minimal heat emission. Too much heat can damage the quality of the wine. 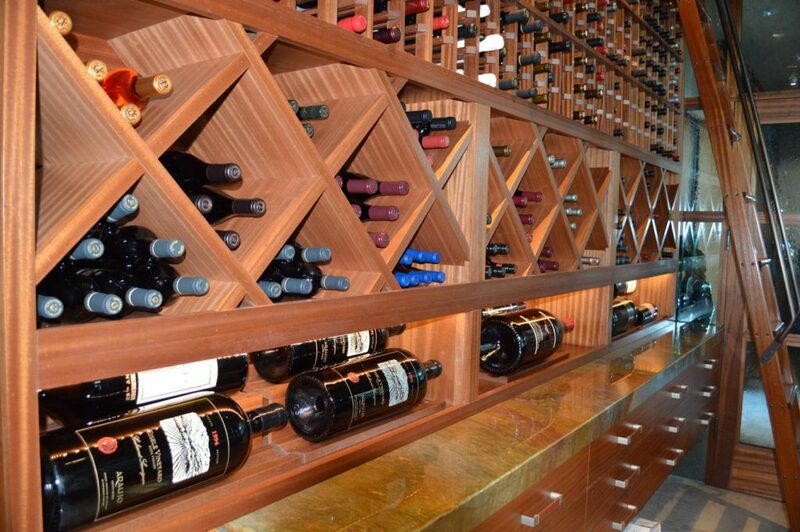 On this project, Vintage Cellars installed an LED lighting fixture in several areas of the wine racks. 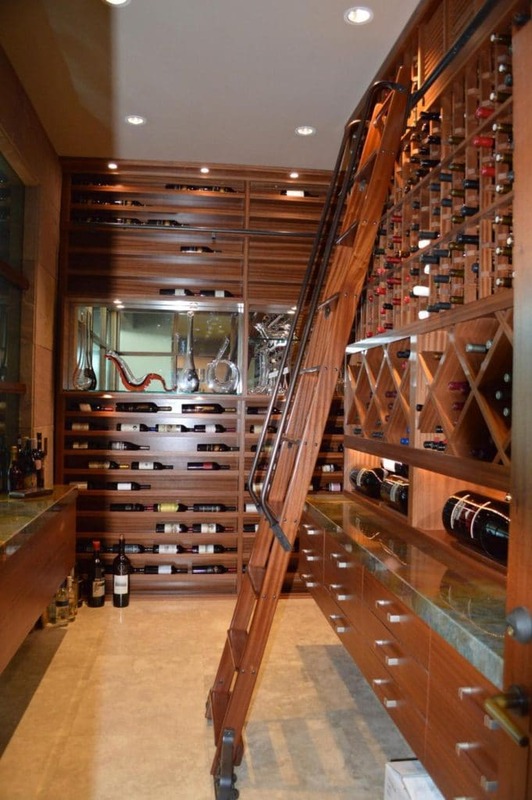 Since the ceiling height was more than 10 feet, a rolling ladder was a great addition to the wine room. It allows easy access for bottles stored in high areas of the racking. Need Help? 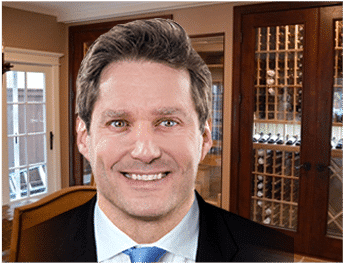 Let an Expert Assist in Building Your Wine Room. 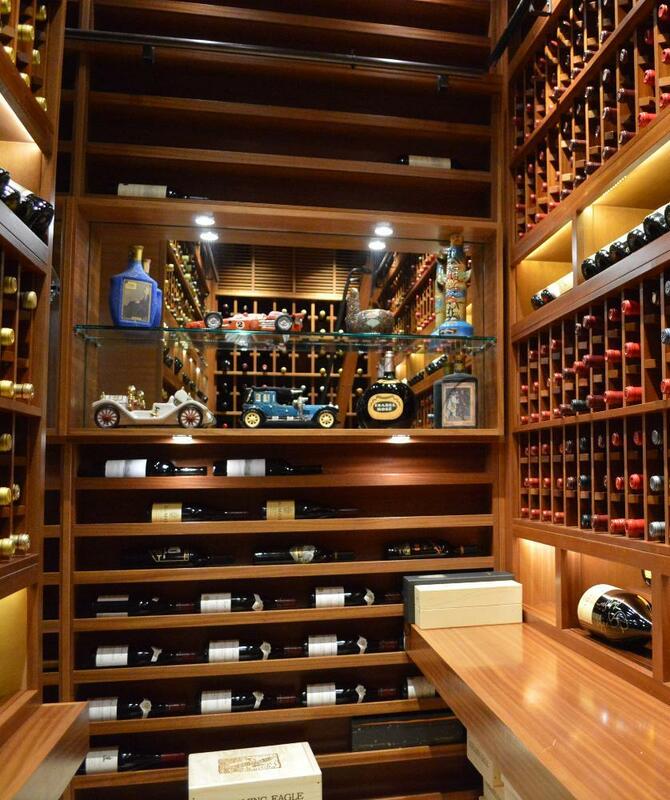 Vintage Cellars will help build your dream custom wine cellar. They have completed installation projects in Los Angeles and other areas in California. Call them today at +1-800-876-8789! 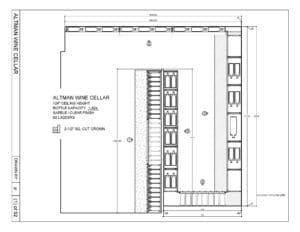 Previous PostLos Angeles Home Wine Cellar Construction Project Next PostDo You Need a Humidifier in Your Residential Custom Wine Cellar?